We want to keep analogue photography and filmmaking alive. That is why we have dedicated ourselves to the sale of first-class cameras. We also want to offer high quality film stock as well as accessories at reasonable prices. To preserve the fun of the medium. Small format, medium format, Super 8, Single-8, Double 8, 16 mm – these are the formats that matter to us. We’ve scoured the world, hunting for your next treasure. Elegant cameras in first-class condition. We purchase such equipment and inspect it in our workshop. Worn parts are replaced, housings cleaned and faults corrected. 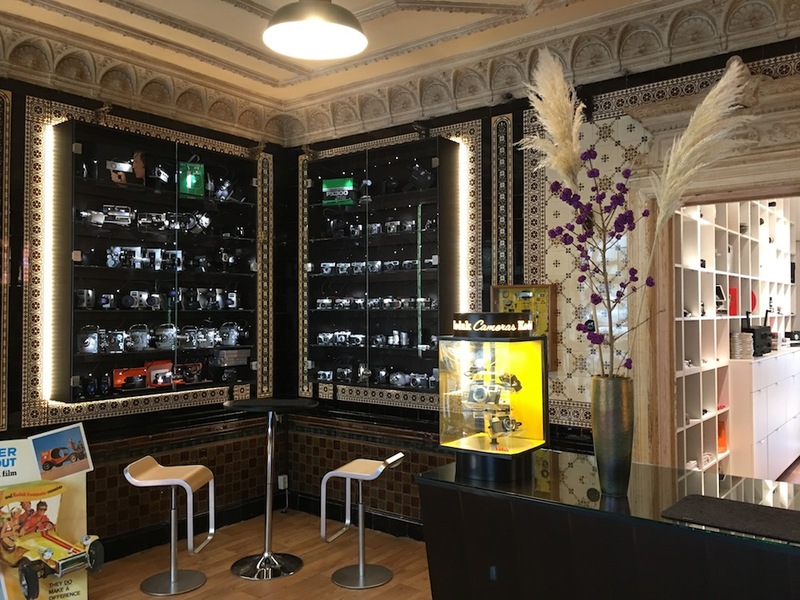 If you purchase a mechanical still or movie camera, you can be assured that our expert service staff have thoroughly tested your chosen device. We give you our word. And a one year warranty. In addition to cameras intended for active photography or filmmaking, we offer selected collector’s pieces. Here, too, we strive to provide you with functional masterpieces. In individual cases, there may be functional limitations which are noted in the description. However, collector’s pieces are expressly offered without an operational guarantee. Sounds like a niche ready to be filled! I wish you every success, Jurgen. Your books are an invaluable resource for collectors and users of smaller format cine cameras and projectors, a shop to buy such treasures in reliable condition sounds fantastic! If I was still living in wonderful Berlin I would love to help on the restoration side. Nothing like bringing an old wind-up camera back to purring health. I went to the new shop four weeks ago. There is a wealth of exceptional equipment there. Everybody there is very welcoming. English is spoken! They have the ability to carry out repairs. The prices are very reasonable. Film stock is readily available, including Foma R100 at very low prices. I would certainly recommend anyone thinking of buying a camera to go there - you can sample the equipment and you know its going to work. I will certainly recommend the shop to my students. Would be great if they opened a branch in London!